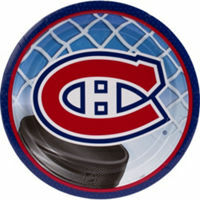 The high-flying Winnipeg Jets will be paying a visit to the Bell Centre on Thursday to take on the Montreal Canadiens. Both teams have been hot of late, with each winning three of their last four games. The Habs are coming off of a decisive 4-1 victory over the struggling Anaheim Ducks, while Winnipeg dropped a heart-breaker in overtime to the San Jose Sharks on Tuesday. This will be a true test for the Canadiens, who have struggled against bigger teams so far this season. TV: 7:30 p.m. ET, TSN3 (Winnipeg), TSN2, RDS (Montreal); LINE: Canadiens -115; O/U: 6 Over -115. The Jets are 34-16-3 on the season. Wheeler, whose 54 assists rank second in the NHL, scored for the second game in a row Tuesday. He extended his point streak to four contests. There continues to be concern around forward Patrik Laine, who has just one goal in his past 15 games. What is worse, only four in 29 games since the end of November. The 20-year-old scored 18 times in 12 games in that month. Hellebuyck allowed three goals for the fourth consecutive outing but is 7-2-1 in his past 10 appearances. Winnipeg expects D Dustin Byfuglien to return to the lineup Thursday after he missed 15 games with a left ankle injury. The Canadiens are 30-15-6 on the season. Forward Brendan Gallagher powered the Montreal offense Tuesday. He scored twice to give him a team-high 21 on the season. The Has scored at least four goals for the fourth time during their current 7-1-1 stretch. Drouin has seven points (two goals) in his past five games. He picked up three assists against Anaheim. Carey Price stopped 24-of-25 shots Tuesday. He improved to 6-0-0 with a .957 save percentage and a 1.33 goals against average in his past six starts. C Jesperi Kotkaniemi has scored goals in each of the last three games, giving the 18-year-old rookie five goals in his past nine contests.